Top 5 Trending Accessible Experiences You Don't Want To Miss! Home »Disabled Travel Newsletter »Top 5 Trending Accessible Experiences You Don’t Want To Miss! Top 5 Trending Accessible Experiences You Don’t Want To Miss! One of my most favorite things about European travel is that you can visit multiple destinations and/or countries in one trip. The close proximity of cities and countries in Europe makes traveling between them fairly easy and affordable. Are you’re going on an accessible cruise visiting Rome, France and Italy all in one week? Or you’re combining an accessible land trip to France with a few days in Spain? 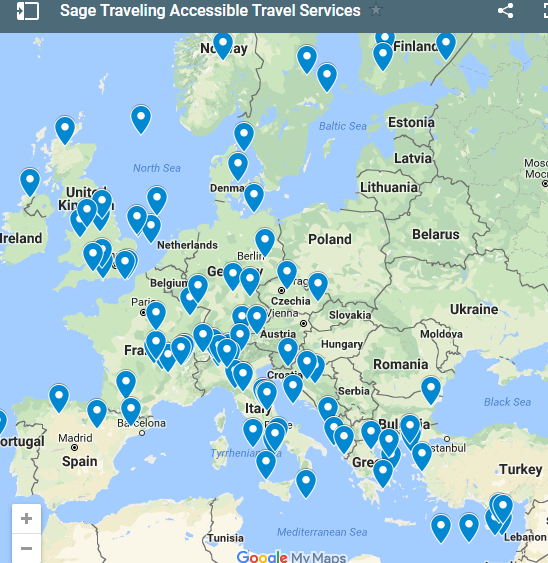 we have countless, fully accessible experiences throughout Europe that allow you to experience the most in the shortest amount of time. Check out these Top 5 Trending Accessible Experiences You Don’t Want To Miss! See the spectacular Raphael Rooms, be mesmerized by the Sistine Chapel and experience the breathtaking St. Peter’s Basilica, including Michelangelo’s Pieta and tomb of Pope John Paul II. 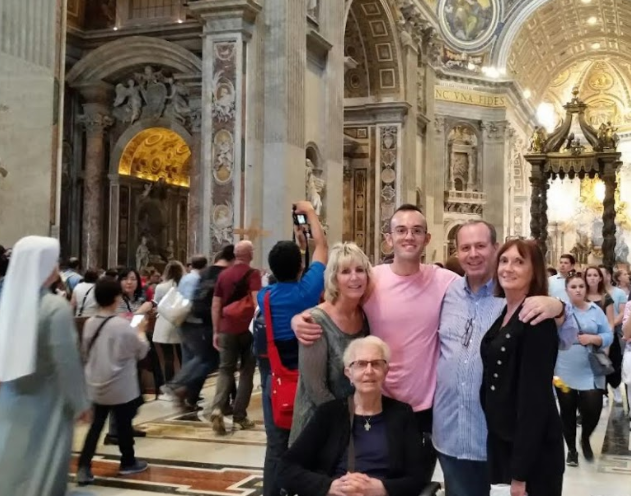 With our Accessible Vatican City Tour, you’ll have access to skip-the-line tickets, wheelchair accessible routes with ramps and lifts, as well as a professional tour guide experienced in navigating the site with disabled and senior clients. Combine a scenic tour along the Amalfi Coast with a visit to the world-class ruins of Pompeii. Using an accessible vehicle, you’ll spend a day visiting the charming Italian town of Sorrento, enjoying a scenic drive along the Amalfi Coast, and exploring the ancient ruin site of Pompeii including the Domus of Menander, the necropolis, the theater and the cast of victims from 79 AD mt. Vesuvius eruption! Our specialized accessible tour uses a wheelchair accessible entrance to avoid the enormous cobblestones at the main entrance, and the route used to navigate the ruin site has ramps to ensure a completely step-free experience. Visit all the world-class highlights of Athens in a single day! Whether you arrive by cruise ship, or stay at an accessible Athens hotel, this tour is the best and most accessible way to experience the hilly and cobble-stoned Athens. Escorted by your private tour guide, you’ll explore the ancient Acropolis site using step-free, wheelchair accessible routes. 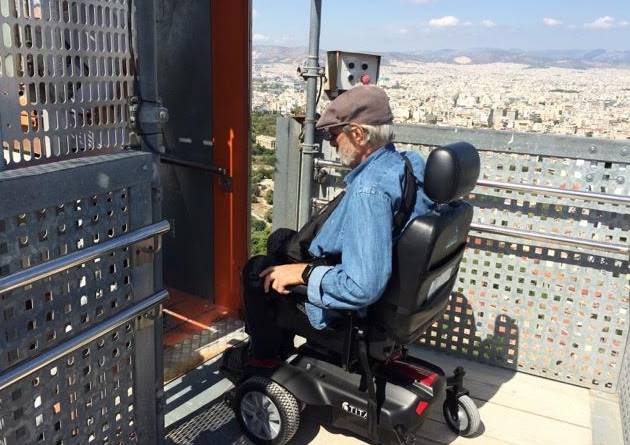 You’ll also have access to a special wheelchair lift that will take you to the top of the Acropolis! This tour includes a fascinating visit to the Acropolis Museum and seeing the Temple of Zeus and the Parthenon. There will also be time to explore the heart of Athens where you’ll find the Greek Parliament, Syntagma Square, the Unknown Soldier Monument, and many other highlights. 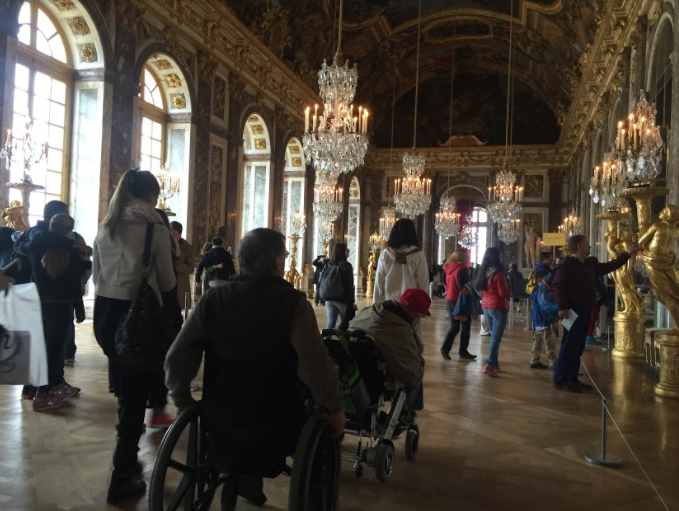 When in Paris, you must take advantage of the unique chance to experience one of the most ornate and impressive palaces in Europe, the Chateau de Versailles. Enjoy a short, comfortable ride from your accessible Paris hotel to Versailles, and spend the day soaking in the beauty of the site. This tour is fully wheelchair accessible, using step-free routes throughout. You’ll enjoy a guided group tour of the Palace interior, with a specialized tour guide experienced in touring with senior and disabled visitors. Among other things, you’ll see the breathtaking state apartments of the King and Queen, the Royal Chapel and the Hall of Mirrors. There will also be free time to enjoy the beautiful exterior and see the Grand Trianon, the Petit Trianon and the French gardens on your own. Barcelona is peppered with highlights to experience, and we’ve complied the best of them in one, full-day, completely accessible adventure. Escorted by your friendly local tour guide, you’ll see the ancient remains of the Roman walls, stroll along the vibrant cultural hotspot Las Ramblas Boulevard, visit Montjuic Hill and explore Placa Espanya. There will be time to admire the fascinating Gothic Quarter with unique architecture and history. Your day will be complete with a fully accessible visit to jewel of the city, La Sagrada Familia. Antoni Gaudi, one of the most famous figures of Catalan culture and world architecture, spent over 40 years designing this spectacular temple! Book Your 2018 Accessible Tours!